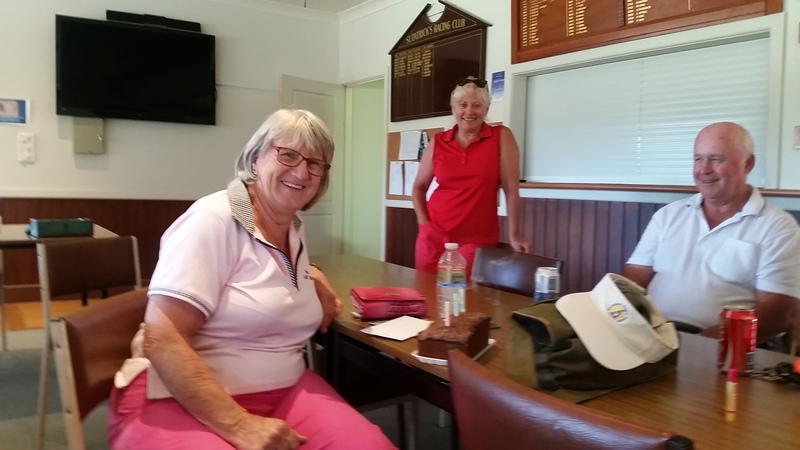 Sue Aurisch continued her golden run with her Clubs and Course returning with an excellent +4 to win today’s Gender Challenge – her third consecutive win. It was a good way for Club Treasurer, Marianne Peterson to celebrate her 21st (?) birthday! Sue, who played off 45 not that long ago and has had both knees replaced played off 35 today but is sure to feel the richly deserved wrath of ‘the handicapper‘ and play of 33 or lower next time! Congratulations Sue and well done you show other prospective golfers what can happen when you take up this great game!! 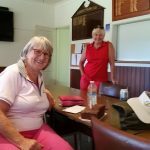 Vicki Clements didn’t let Sue have it all her own way though just failing by countback and coming runner up increasing the Ladies lead over the Men. Martin Lowe (playing of a ‘real‘ handicap of 16) was the best of the Men returning an excellent +3 and Bob Glenister +2 was fourth. The Men won the best average score leading to the progressive tally of Ladies 192 leading the Men 141. Our Gender Challenge is all a load of fun with lots of laughs, enjoyed by all – as today’s great field of 23 players shows. Anyone keen to play at Eildon in this Saturday’s Round of the Murrindindi Masters MUST contact Gary Pollard before COB on Thursday. Thanks to all the guys who have done some excellent volunteer work on the course to keep it in tip top condition. recent works include drainage on the 15th and 17th and sprinkler upgrades on several fairways and the 13 green, not to mention the constant cutting, fertilizing and mowing that takes place. The Club THANKS YOU ALL! No wonder we all wear the same golf shirts!